The days following the holidays are some of the biggest shopping days of the year. Stores and online retailers want to get rid of their merchandise to make room for next year’s supply, so most of them are offering great deals and big sales. It’s easy to get caught up in the excitement of the sale and blow your budget. However, stick with the tips in the article below and you’ll stay on track. Just like on Black Friday and Cyber Monday, it’s important to remember that something being on sale isn’t a good enough reason to buy it. If you don’t need or won’t use the item and are only purchasing it because it’s a good deal, think twice about it. Don’t spend money you may need later on things that seem nice to have in the present. One of the keys to smart shopping is to maintain the ability to walk away from any item that you don’t exclusively need. Before you go out to do your post-holiday shopping, make sure you make a detailed list of the things you intend to buy and how much money you’ll allow yourself to spend on them. Going shopping without a list almost guarantees a budget disaster. When you make a list, you’re much more likely to stick to it and come in under-budget instead of overspending. When you go post-holiday shopping, make sure you spend a little time online checking out the deals and comparing costs. If a new TV is on your list, doing your research online of what the TV costs at multiple retailers will help you get the best deal on it. Many online retailers also offer online-exclusive sales that you won’t find in stores so that they can clear out their warehouses and make room for new product. Many online stores also offer free shipping on post-holiday shopping, making it easier and more effective than going to the store and fighting the crowds. If you’re in the market for an expensive item like a new car, smart watch, or computer, buying the model that was released just before the newest one is a smart way to save money and stay on-budget. “Last Year’s Model” will still have most of the bells and whistles of the newest release, but will cost significantly less, giving you the most bang for your buck with post-holiday shopping. 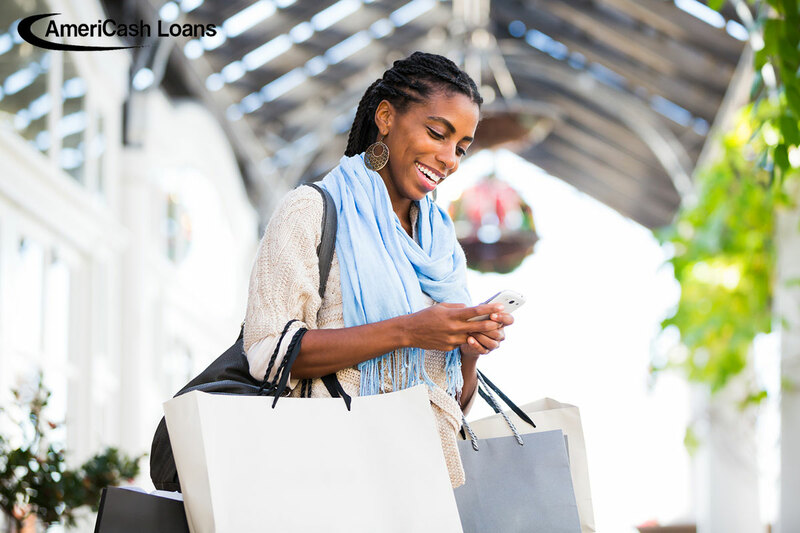 If you need a little extra money to buy the things you need during post-holiday sales, turn to AmeriCash Loans. We’ve got the cash you need when you need it most. Apply online or in-store today.